It’s not quite done and dusted, but the scientists on the official working group have overwhelmingly declared that the new ‘epoch’ of the Anthropocene has begun in the geological time scale. Years ago I recall a caller on talkback radio saying that in 50 million years time the only sign of humans will be a layer of toxic slime in the geological record. Stratigraphy is what we are talking about here, so it’s serious. Humans are leaving an imprint on the earth’s crust that will be there forever, or until the dying sun expands, and burns the planet to a crisp. The talkback caller, if memory serves, was talking about the possibility of a nuclear holocaust. By contrast, we can count ourselves lucky if it’s only a change of ‘epoch’. We are still in the Phanerozoic Eon which started with a burst of life about 540 million years ago. We are still in the Cenozoic Era which began 65 million years ago with the large asteroid strike and the demise of the dinosaurs. We are still in the Quaternary Period with its regular ice ages from 1.8 million years ago, although that might change now. 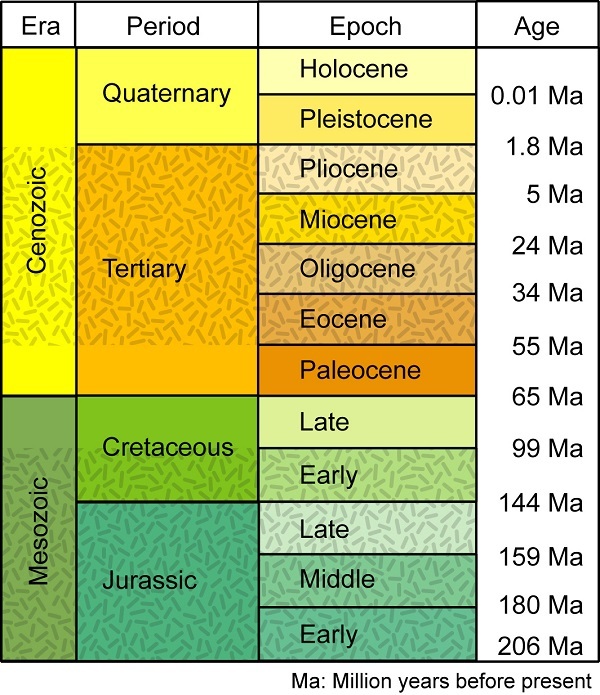 The Quaternary Period was hitherto divided into the Pleistocene and Holocene Epochs, to which we now add the Anthropocene. It’s actually hard to find a table that has the whole thing, is legible, and doesn’t muddle things up a bit. I had one yesterday, but it disappeared with the computer kerfuffle. The main thing is that in geological terms a change of epoch is not that big a deal, so the shape of the landscape by and large doesn’t change. The working group presented their recommendation to the International Geological Congress in Cape Town. We’ve cleared the land, tilled the soil, built gigantic cities, dammed rivers. Many species have become extinct, and wild creatures replaced by domestic animals. However, he makes it clear that for the future of humanity the change occurring is a very big deal. At ThinkProgress they make it clear that the proposed change stems from damage we are doing. Some scientists, however, point out that we’ve been at it for a long time, really with the beginning of agriculture. In another article they suggest that there is some good news – we are not wrecking the place as fast as we used to. 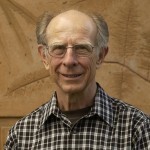 The good news: Despite the fact that both economic activity and human population increased at near-breakneck speeds between 1993 and 2009 — growing at 153 percent and 23 percent respectively — the human footprint has increased at just 9 percent, a significantly slower rate than either population or economic activity. And that, the researchers conclude, is reason for some optimism. Does anyone remember James Lovelock and the Revenge of Gaia? See also Goodbye Holocene, hello Anthropocene?. The reality is that fossilization is rare and that many plants and animals that lived in the past don’t show up because they were never more than rare or simply lived somewhere that has not produced surviving fossils. The point I am making here is that we are better placed to see extinctions now than in the past. The other point is that assessing the effect of human activity depends on viewpoint. Many species have done well as a result of human activity. Think a whole range of domestic and feral animals. John, I believe scientists think that there are other humanoid species that existed in the past that we haven’t discovered yet. I think there is a case for saying that we are entering a new Period if the Quaternary was characterised by ice ages. My take on the ice core results is that we are close to the turning point where temperatures would begin to slowly ramp down for close to the next 100,000 yrs if it wasn’t for global warming. John, if you look at the two graphs in this link they support your view. Suddenly we hace a burst of CO2 and other greenhouse gases and temperature rises at least 20 times faster than has previously happened.